Drawing and painting the model: 3 different models, 3 different approaches, 2 different instructors. Multi-Media! Come with an open mind ready to try new things. 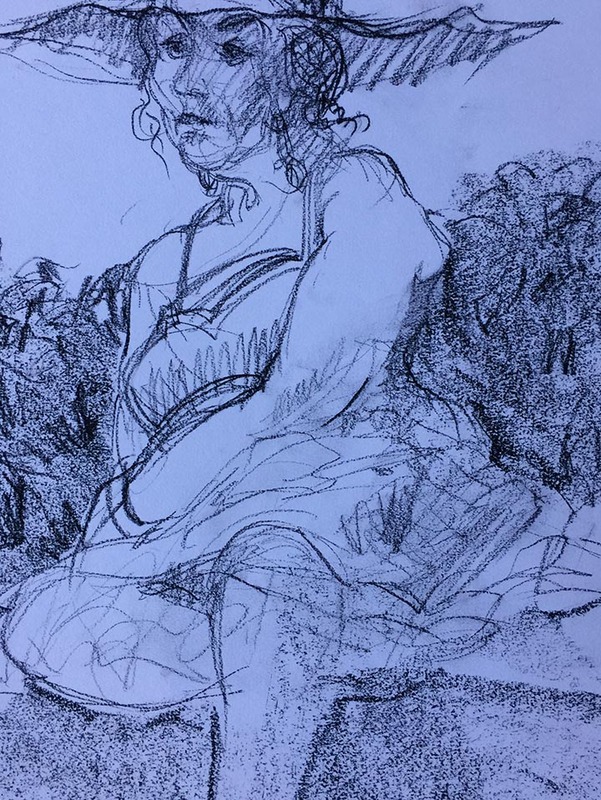 Join Liz Hill and Carol Rensink, award winning mixed media and figure artists to learn new and different approaches to working from the model. You will encounter new ways to draw the figure and your work will step up to a new level. All levels. Questions? Contact Liz at Lizhill4u@aol.com or call 713-252-7726. Click here to visit Liz's website. Or contact Carol at crensink.art@att.net, 713-524-5146. Water media paints of your choice (watercolor, acrylic, gouache) but nothing oil based. Watercolor pencils, intense, markers, pastels, anything you have. White tissue (cheap wrapping is fine ), in colors if you wish —Collage papers (all kinds) like oriental papers, newspaper, old phone books, envelopes, and papers you have made. We will also bring some papers !